"I'm thinking about getting a divorce. How can a Certified Divorce Financial Analyst (CDFA) help me?" When couples decide to divorce there are really three divorces happening. The most obvious divorce is the legal divorce. Everyone contemplating divorce knows they need a lawyer to get through the legal divorce. There is also an emotional divorce which can begin before the legal divorce and can extend past it as well. Many parties to a divorce seek support from a mental health professional or have the support of family or friends as they go through divorce. The financial divorce is the third leg of this triad. This portion of the divorce is critical because the stakes are high. There are many financial issues to deal with when getting divorced — maintenance, child support, splitting assets, dividing debt, taxes and retirement. Generally, parties to a divorce do not think about hiring a financial professional to help them with these issues until after the divorce is settled. Sadly, any poor financial decisions made during a divorce can have disastrous consequences down the road. Another common mistake is thinking that “my attorney will know how to handle all of these issues”. 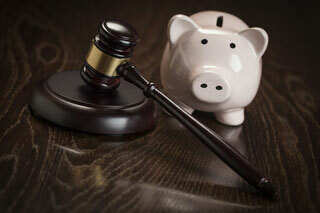 Attorneys are legal professionals and know the law, but they are not financial experts. This is where a Certified Divorce Financial Analyst (CDFA) can help you. CDFAs are financial professionals and have taken additional training to work with clients going through divorce. They are skilled at working with attorneys during the case, as well as providing litigation support at the time of trial, handling the financial issues of divorce and helping you understand and take ownership of the financial decisions made during a divorce. Cathleen Belmonte Newman has over 25 years of financial analysis experience and an MBA in finance, and she is a Certified Divorce Financial Analyst (CDFA). She is the owner of F4 Financial, a company specializing in budgeting, lifestyle analysis and litigation support for the divorcing client. She can be reached at www.f4financial.com or 847-634-2219. See her online profile for more information.